ANULON-140 Polyoxymethylene (POM) represents an ideal combination of strength, rigidity and toughness. 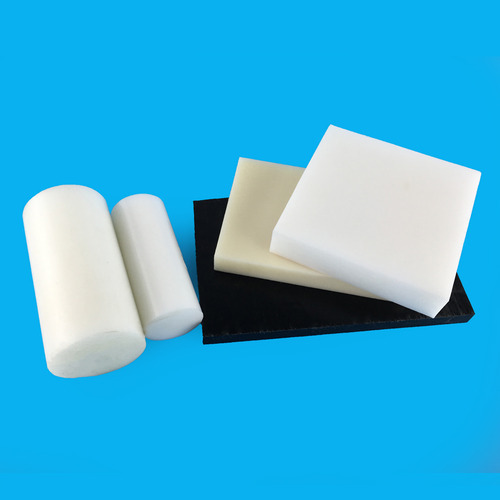 It has exceptional resistance to tensile and flexural stress due to its highly crystalline polymer structure, highest among various thermoplastics. It has the ability to function over a broad temperature range for long period. Its smooth hard surface is ideal for use in parts subjected to sliding friction. Good deimesional stability and particularly good fatigue resistance as well as exceptional machinability make ANULON-140 a versatile engineering material even for complex components with high demands on surface quality. Incepted in the year 1987 at Kolkata (West Bengal, India), we Plastic Abhiyanta are Partnership based company engaged in manufacturing a qualitative assortment of Polyoxymethylene Sheet, Polyacetal Products, Cast Nylon Sheets, HDPE Products and many more. We supply our products in East India regions like Kolkata, Assam, Darjeeling, Orissa, Bihar, Jharkhand, Hoogly, Siliguri and in North India location like Jammu and Kashmir, Himachal Pradesh.